The U Konserve stainless steel container with the movable and removable divider is like having a few containers in one! 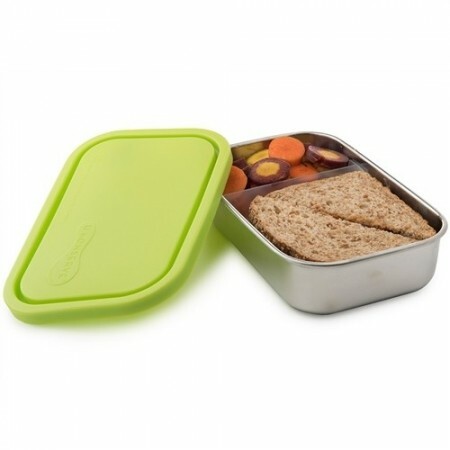 This reusable bento-box-style lunch box is the perfect out & about solution for sandwiches, sushi and cut fruit. Lime green lid - 740ml/25 oz capacity. 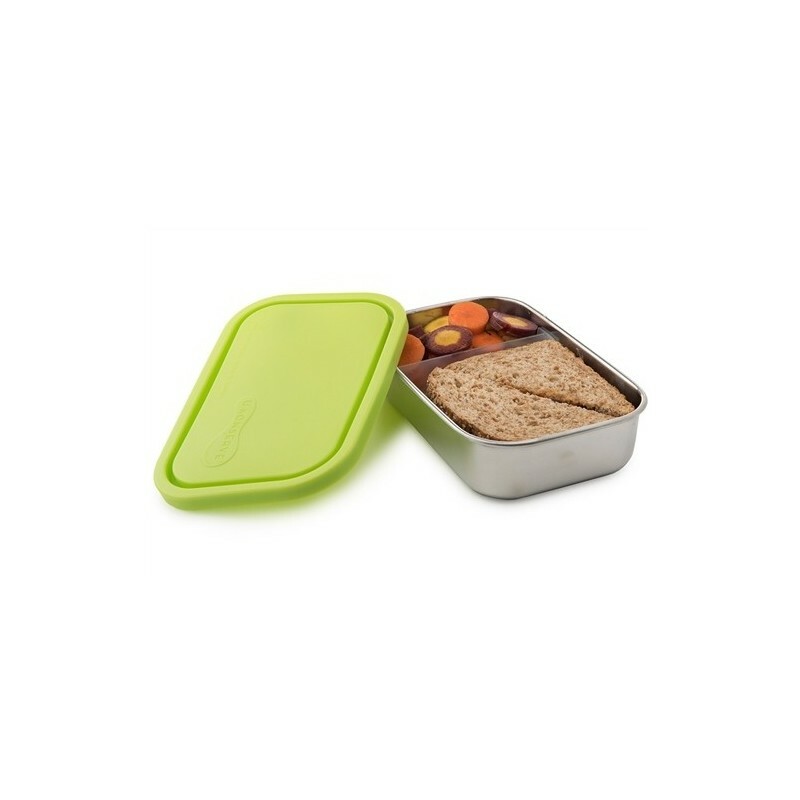 Use for take-out, salad bars, and to store your leftovers in the refrigerator or to bring them to the office the next day. All U Konserve stainless steel is food grade (304). Lids are made from LDPE* recyclable plastic #4 and are leakproof. You can also use them for takeout, salad bars, and to store your leftovers in the fridge to take to work or school the next day. 740ml/25oz capacity. 19.5cm L x 12.5cm W x 4.5cm H.
304 (18/8) food-grade stainless steel. Lid: non-toxic LDPE #4 plastic. Removable divider: PP #5 plastic. Dishwasher safe. Should you experience the appearance of "rust" on any stainless steel product, it is more than likely a discoloration or harmless residue left behind from the electro-polishing process. Buff it out with a heavier kitchen scrub brush. Extreme temperature changes might cause lids to crack. We recommend keeping lids out of the freezer. US company. Products are made responsibly in China or India. Browse all our U Konserve range. *What is LDPE plastic? LDPE is Low Density Polyethylene plastic made from petrochemicals that has been found to be stable and generally do not leach chemicals. With the recycling symbol #4, it is readily recycled. It is commonly used for plastic containers, plastic bags and juice and milk cartons (those that look like cardboard, but are actually a liquid packaging board, which is a laminate of paperboard and LDPE (as the water-proof inner and outer layer). LDPE, HDPE, PP, and PET are non-BPA materials. The plastics to avoid are labelled #3, #6, and some types of #7.